The device's underlying physics, and extensions of the platform to a broad array clinical applications are reported in this study to be published Dec. 5 in Science Translational Medicine. These foundational concepts form the basis of consumer devices launched in November to alert consumers to their UVA exposure, enabling them to take action to protect their skin from sun damage. "From the standpoint of the user, it couldn't be easier to use—it's always on yet never needs to be recharged," Rogers said. "It weighs as much as a raindrop, has a diameter smaller than that of an M&M and the thickness of a credit card. You can mount it on your hat or glue it to your sunglasses or watch." Currently, the amount of light patients actually receive from phototherapy is not measured. 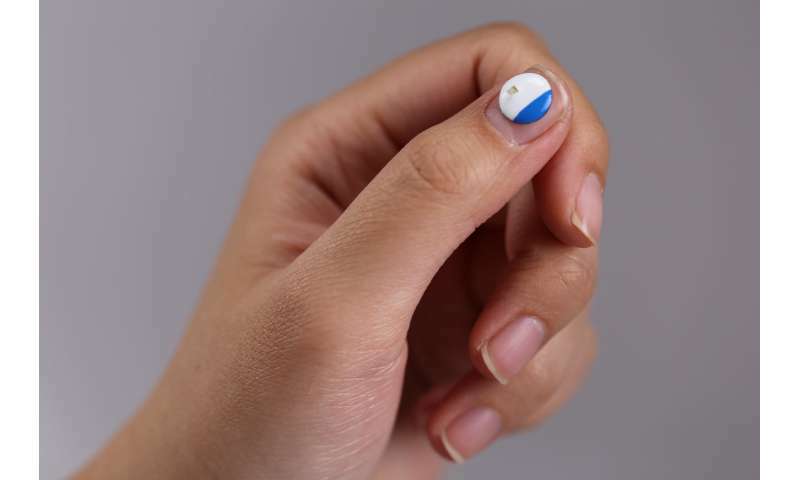 "We know that the lamps for phototherapy are not uniform in their output—a sensor like this can help target problem areas of the skin that aren't getting better," said Xu. 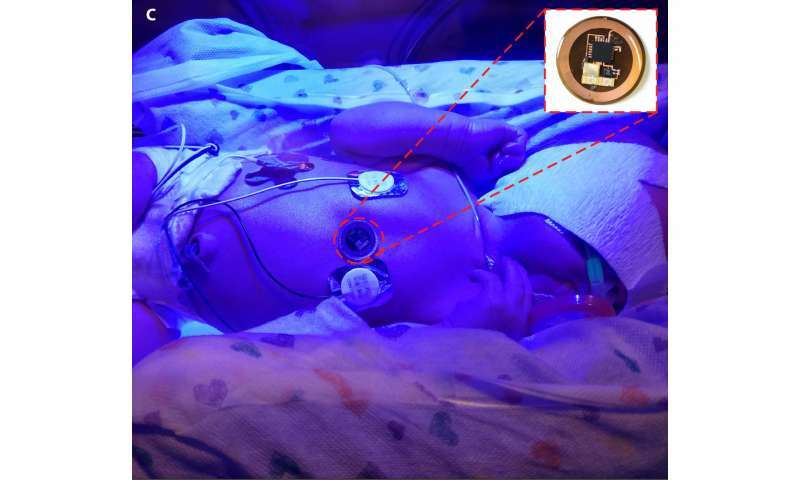 Doctors don't know how much blue light a jaundiced newborn is actually absorbing or how much white light a patient with seasonal affective disorder gets from a light box. The new device will measure this for the first time and allow doctors to optimize the therapy by adjusting the position of the patient or the light source.